Recent reports suggest that the tiniest autopilot, christened as the “Micro Aerial Vehicle” or MAV was introduced to the world on August 2013 by the researchers working at the Delft University of Technology situated in Netherland's. The researchers have also claimed to have designed and tested the smallest autopilot for an unmanned aircraft in the world. The central aim of the scientists is to make this innovative technology more usable in everyday life. Apparently a small and lightweight autopilot allows flying robots or drones to fly for much longer durations into narrow spaces. A compact autopilot can help the drone to carry more loads such as heavy cameras and sensors. The researchers have explained that the reason they chose to deploy this innovative concept is the fact that smaller, compact drones makes them more appropriate for complex search and rescue operations. Reportedly scientists are aiming to make the “Micro Aerial Vehicle” so compact, light and portable that it can be easily fitted into a fireman’s shirt or trouser pocket. The press reports also claim that the weight of the world's smallest autopilot is a mere 1.9gm, which makes it an impressive 30gm lighter than its original predecessor. 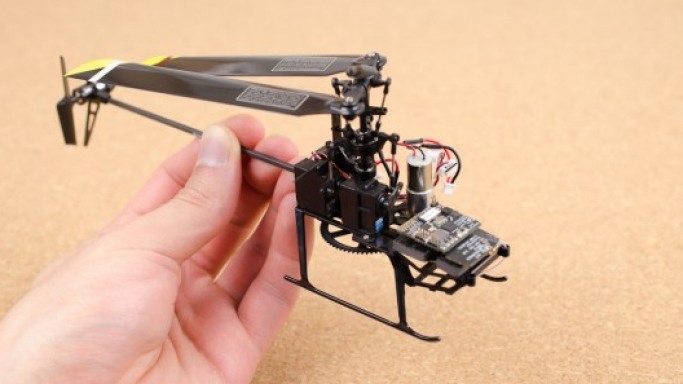 The Delft University researchers have also claimed that the new software “Superbitrf” helps to keep the tiny autopilot connected to the ground station and a RC transmitter. Apparently all these innovative combination of functions makes it possible to compress the size of the autopilot. Reportedly the scientists have named the autopilot “Lisa/S” and have provided it to the users to test it and suggest further improvements. “MAV” can also be used by the farmers to inspect crops. The project developers have made all the details of their work available online to make MAVs easily accessible for all. They are striving to make MAV’s as ubiquitous as laptops and smartphones.